Go ahead, PIN your cards everywhere. 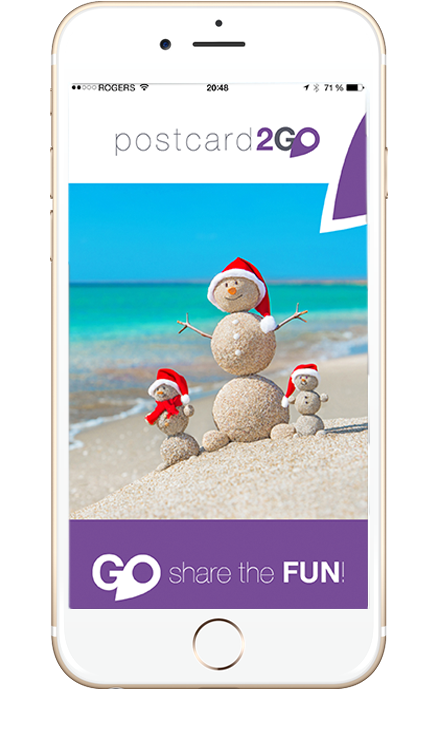 Postcard2go is an iOS application that allows you to snap pictures, edit them, paste them on a postcard template, write a few words, select a friend or a family member from your contact list and mail it from anywhere in the world to the USA or Canada. 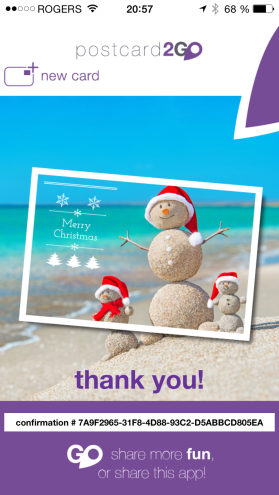 The postcards are FREE*. Only pay for the stamp. *Only pay the postage fee from Canada Post or United States Postal Service (USPS). Postcard2GO is an intuitive and easy to use application. 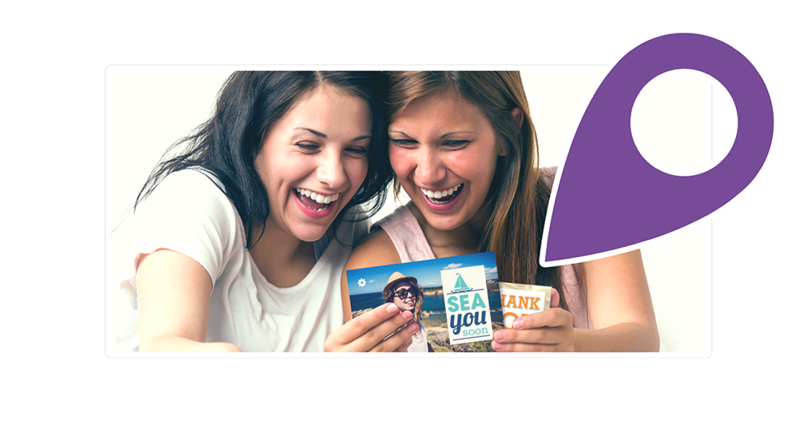 Your recipient will love you for taking the time to create a personalized postcard just for them and receiving it by mail. Don’t be surprised to see your masterpiece “pinned” to their bedroom wall or the family fridge. Choose from hundred of templates. 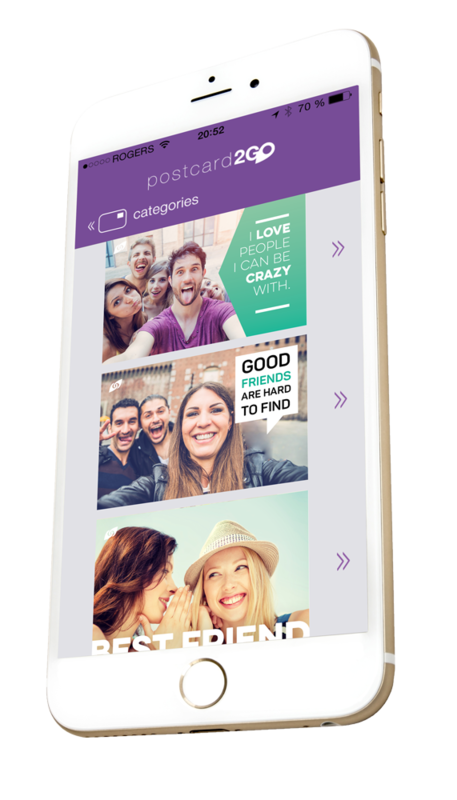 You can send up to 30 postcards per month for FREE*. Be careful, you only have 30 postcards per month. Choose carefully with who you want to share your best pictures! 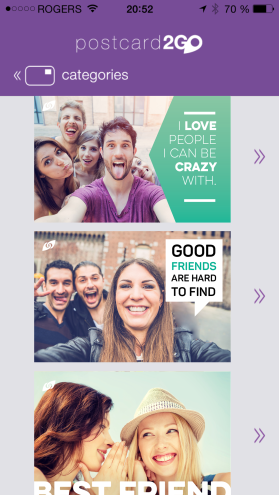 GO, share the FUN ! 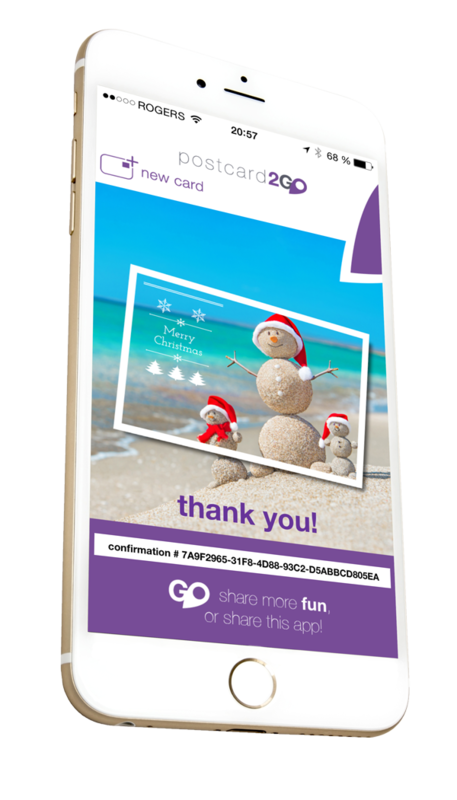 "I just love how simple and easy to use postcard2GO is." 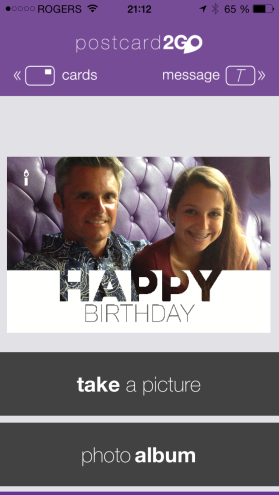 "You can send postcards from anywhere you are in the world to anyones in the USA or Canada!" "Tried it, loved it and shared it. As easy as 1, 2, 3." 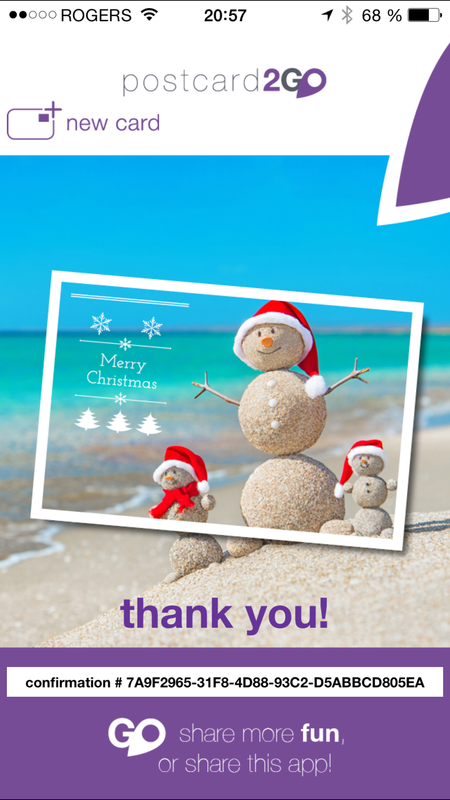 Your recipient will receive your postcard within a week. In a hurry? Click here to register and simply sign in later.